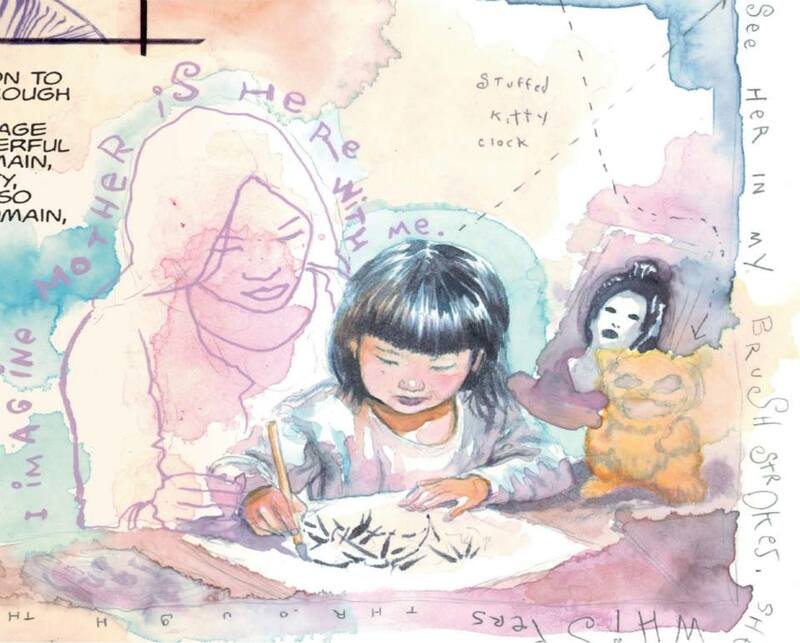 In the second part of our interview, David Mack — he of the new Kabuki Library Edition — talks Daredevil, Fight Club 2, and everything else. 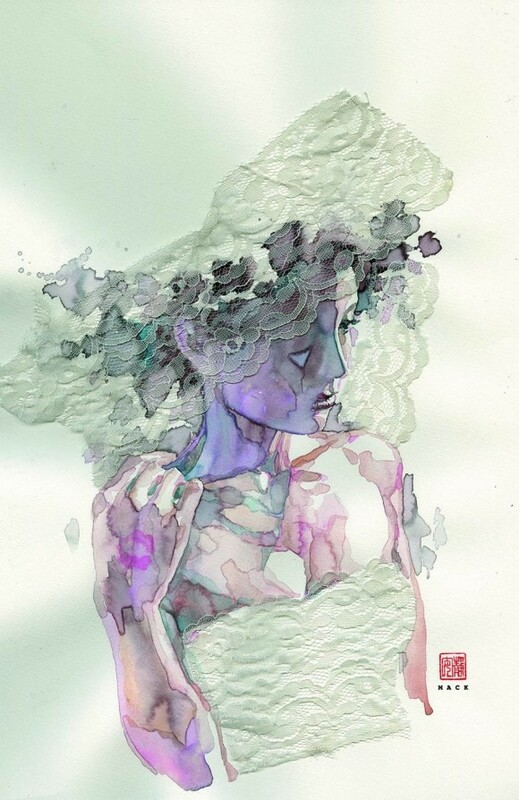 David Mack has been working to push the boundaries of comics for the past two decades, taking novel approaches to storytelling that he integrates with mixed media and painted work to create final products that are simply stunning and offer a fresh approach to the comic medium. 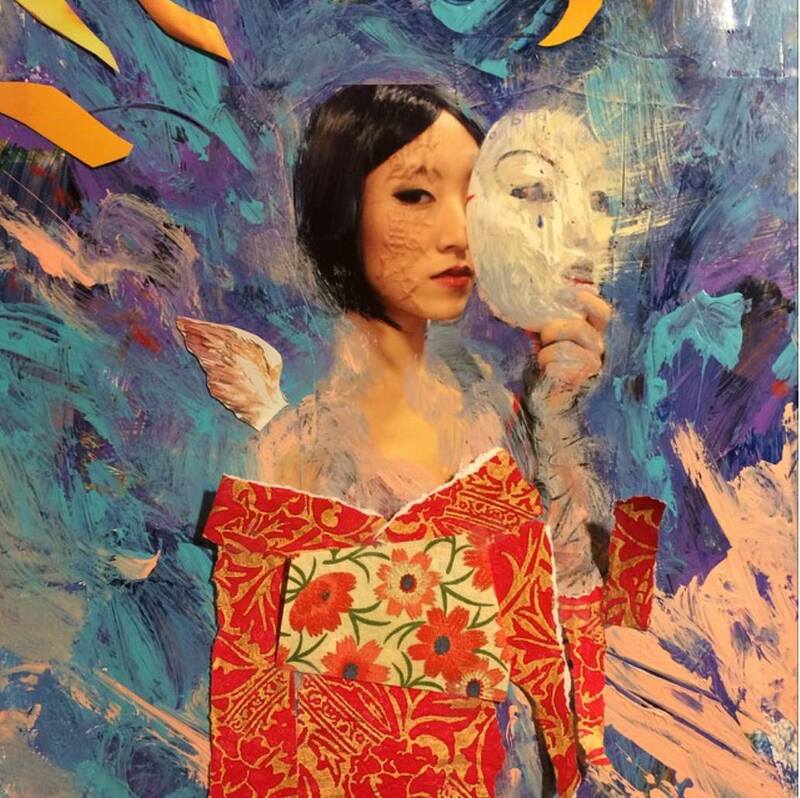 Dark Horse recently published Kabuki: Library Edition Vol. 1, which is the first in a series of retrospective volumes that will collect Mack‘s seminal creator-owned series. We spoke to Mack about Kabuki in the first part of this interview (check it out here), and now we’ll shift to his work on Daredevil, as well as the covers he’s been doing for Fight Club 2 (Issue #4 is due 8/26) and the numerous other projects that he’s currently immersed in. G.D. Kennedy: In the late 1990s, you transitioned from independent press to writing for Marvel with Daredevil. How did this come about? 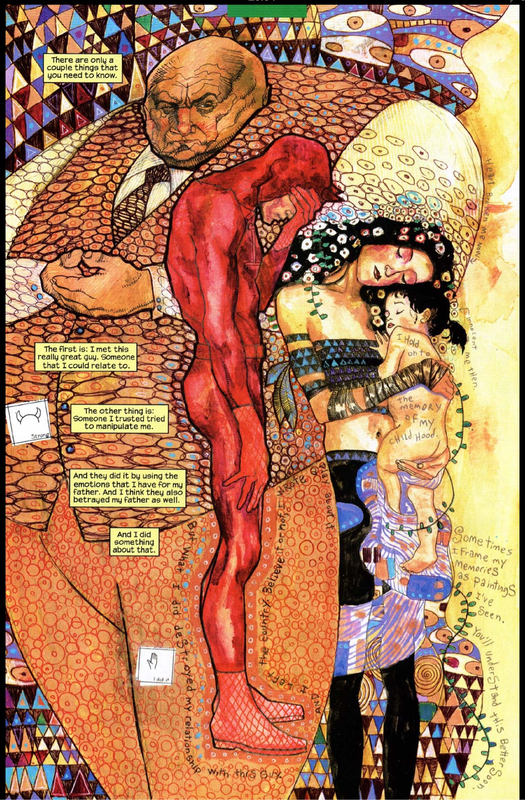 David Mack: That first Kabuki volume. The one that is in the Vol. 1 Kabuki Library. That story got me the offer to work at Marvel as the writer on Daredevil. I showed my first Kabuki volume to Joe Quesada in 1995. He said he really liked the writing and would like to work with me as a writer. He formed Marvel Knights and invited me to take over writing Daredevil after Kevin Smith. While Joe and I were working together on Daredevil, naturally, I introduced Joe to the work of my dear friend Brian Michael Bendis and that got Brian the offer to write for Daredevil as well, and for us to collaborate on Brian’s first Daredevil story. Kennedy: One of the things that I found so appealing was the willingness to break from conventional narrative and artistic styles while working with a very traditional character. Was this a deliberate decision? What was the editorial response to this? Mack: My intent is always to approach the story based on the best way to communicate that particular story, and cultivate an approach that works for it. As first a writer on Daredevil, and eventually an artist on Daredevil as well, I tried to write in a way that communicated the characters unique sensitivities and experience of the world. That said, Marvel Knights seemed to be looking to hire talent that had a unique approach and voice for things. I felt a great freedom working with Marvel through the imprint of Marvel Knights. I asked Joe if he had any requests or notes for when I was writing Daredevil. He told me to write the story that I wanted. He said he just had one request. He asked that I create a brand new character for Daredevil in the story. That character became Echo. 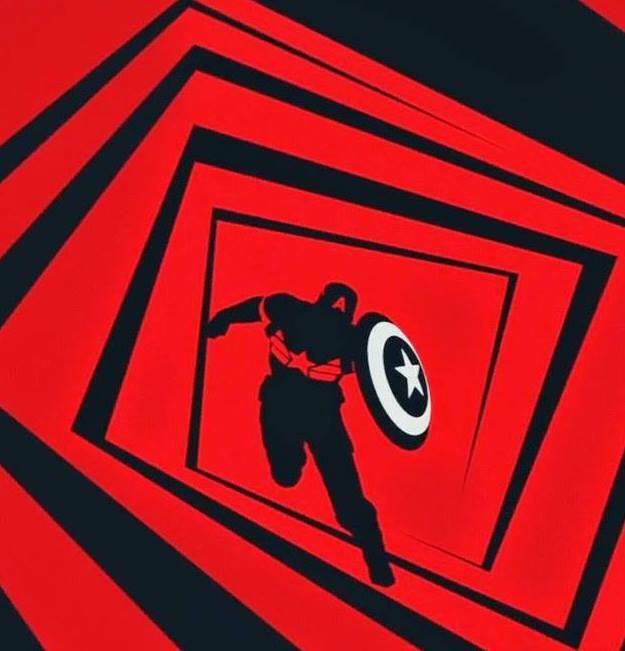 Your run on Daredevil was obviously a big influence on the Daredevil Netflix series. What was it like seeing your work brought to life? Writing that first Daredevil story, the origin of Wilson Fisk was the my favorite part of that story. It may not have got as much attention in the story, at the time, but I really enjoyed writing from the Kingpin’s point of view, and his efforts and evolution as a child to the man he became. There were some wonderful details of that aspect of the character and story sequence that was translated into the TV series. Even so much as keeping the character in the same color of clothes and atmosphere in his childhood flashbacks that he had in the story. I was very happy with the series. And very impressed by Vincent D’Onfrio as Fisk, and impressed with the entire cast. Any word if we will see Echo in any upcoming seasons? David: It would be great to see an Echo appearance in an upcoming season, wouldn’t it? That would be a unique and diverse character to see come to the screen. A couple years ago, you worked with your longtime friend Brian Michael Bendis on Daredevil: End of Days, along with with Alex Maleev, Klaus Janson, and Bill Sienkiewicz, which is basically a Daredevil all-star cast. How was the experience of returning to the character with Bendis after so many years? What was it like working on this book with so many creators who had established their own visions of the character? That was wonderful. First of all, writing the series with Brian was a joy. And then being able to see it come to life by Bill and Klaus who are Daredevil creators that Brian and I grew up reading and learning from. And now we got to write a story that they were drawing. 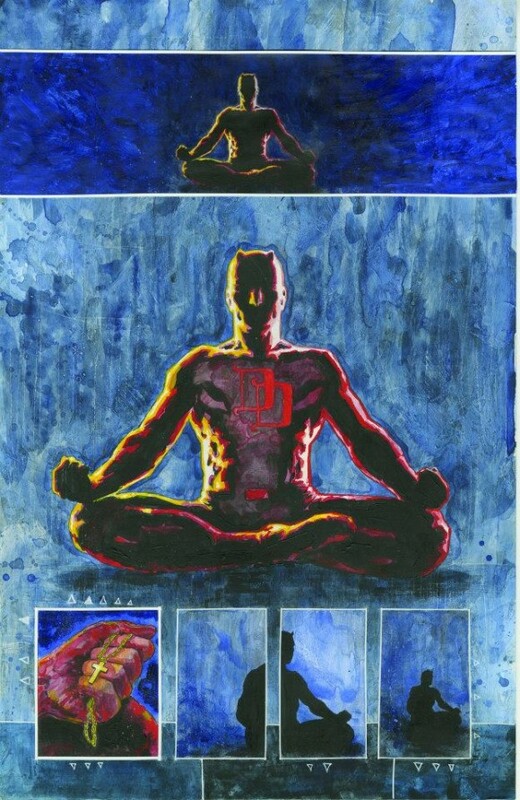 And then to have Alex on the team, and Matt [Hollingsworth] as colorist, and there are references in the story to the arcs of all of the creators’ eras of Daredevil in the story. It was a pure joy. It was very organic. And it was a joy to write The Punisher, who is a character that I enjoyed as a child. And there is talk of a continuation of that story. I’ve already put quite a bit of writing work into it. It features all of the characters that survived Daredevil: End of Days. It also crosses into some story points and history of Bill Sienkiewicz’s Elektra Assassin series. And is so far called Punisher: End of Days. You’ve been doing covers for Fight Club 2 with Chuck Palahniuk. Could you tell us a bit about your relationship and how you became involved in Fight Club 2? I had met up with Chuck for many years. Discussing things creatively over lunches and coffee. Chuck had written a wonderful introduction to Kabuki: The Alchemy, I let him know I would be happy to collaborate with him in some way. And I suggested that he consider Dark Horse as a publisher for Fight Club when he was considering publishers for it. 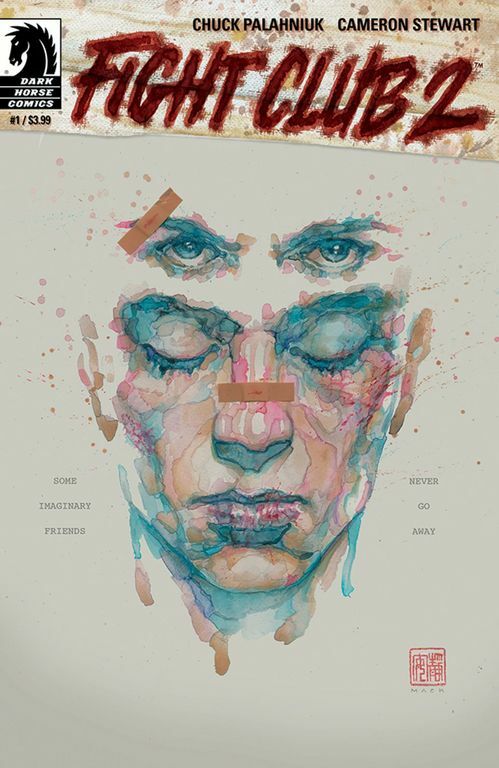 Your covers for Fight Club 2 have each varied stylistically. Is this an iterative process with Palahniuk? What is the process for creating these covers? I read the script all at once when I got it. And then I read it again marking cover ideas in each chapter of the script. Sometimes it comes from that. And sometimes Chuck and Scott Allie [Editor-in-Chief of Dark Horse Comics] will send me some cover ideas or notes to incorporate. Oh, I think Chuck has it covered. Although he has said in a Fight Club panel that he’d like to see me adapt another of his works. He mentioned Invisible Monsters live at a panel. 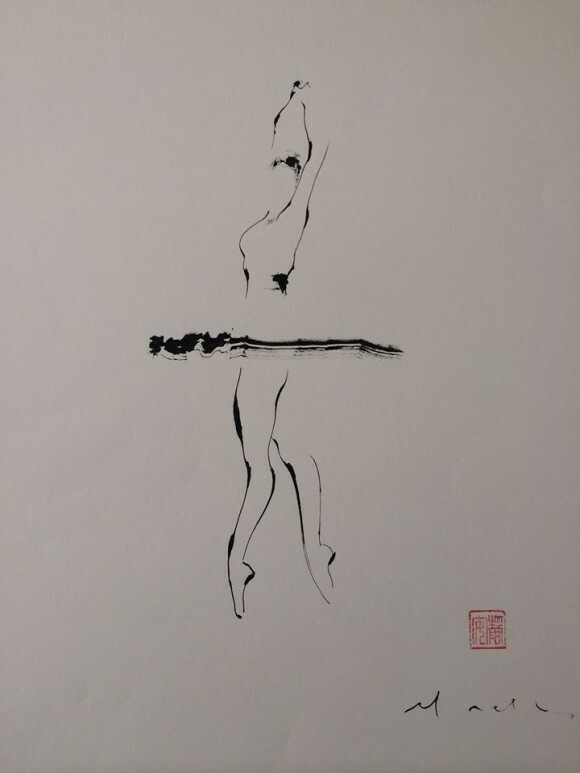 You’ve been working outside of comics a fair bit recently, including an art book, Muse: Life Drawings, which consists of sumi-e style ink paintings (a few of which appear in the Kabuki Library Edition). Is this a new style that you are exploring? I’ve been drawing figures from life with brush and ink for twenty years. I draw from life each week. You can see a lot of these in the albums on my Facebook page. But a couple years ago Century Guild Gallery saw my figure drawings and wanted to do gallery shows of them. They exhibited my figure drawings with the work of Gustav Klimt and Egon Schiele first in a Gallery show in Chicago, and then an entirely new set of works of mine with Klimt and Schiele in Los Angeles. They followed that with a gallery show of my ink figures with ink works of Clive Barker and Dave McKean. And then with Bill Sienkiewicz and Stephanie Inagaki. Muse is a book the gallery published that includes some of my figures in brush and ink that they have shown. The sparse nature of this style is very different from the often dense and layered nature of your mixed media work. Is this something that you found appealing? Yes, I find it very direct. I draw very quickly in this way. I really enjoy drawing from life, and drawing very quickly with brush and ink. I do it a lot, and now with more care because of the gallery’s appreciation of my work. It has helped me to grow and mature more in that area in the last few years. I’m primarily a storyteller. So that is the appeal of comics for me. That may be writing for another artist, or developing a visual approach that has a unique storytelling drive. In comics, it is all about a bigger story, and everything is in service of the story telling. For gallery work, it is wonderful to do a piece on its own without necessarily having to have it fit into sequence that is worked out ahead of time. It reveals itself as it happens. And I learn from each and apply them to the other sometimes. Right now, I’ve been asked to do the designs and marquee art for a Japanese theater production. I’ve been designing for the stage and for actors which will be a new joy and collaboration in a new way. Recently, I’ve also been doing title sequences for film and TV. I did the black and white drawings on the title/credit sequence of the film Captain America: The Winter Soldier. And for Robert Rodriguez’s TV series Matador (both of these with Sarofsky Design). And recently Marvel revealed that I worked on the opening credits to their new Netflix TV series Jessica Jones, which is based on the Alias comic that I did the covers and some interior art for. I’m also doing the title sequence art for the documentary film The Temple of Art. I have some new children’s books in the works. As well as some creator owned comics projects, including collaborations with Brian Michael Bendis and Bill Sienkiewicz. And right now I am putting the design together for these other Kabuki Library Editions, which is a very immersive process, and quite rewarding. Also, despite Elektra being my favourite comic character, I had been hoping Echo would have been chosen to centre in the upcoming second season of Daredevil on Netflix. Not that I don’t think she’s been excluded from other seasons going forward but I do think she would have been better suited.